You’re very welcome for the award. I also enjoy your stories of the Industrial Revolution and the many facets of it you write about. I’m glad my gardens can help sustain others as well as myself. 😉 It’s great connecting with you! I very much appreciate you, and your blog about so many diverse and interesting things. You make great gardens with words 😉 It’s always a pleasure to visit you and have you visit me. Thank you for being so seriously fun! Hi Steve. Again, Thank you so much for the nomination! 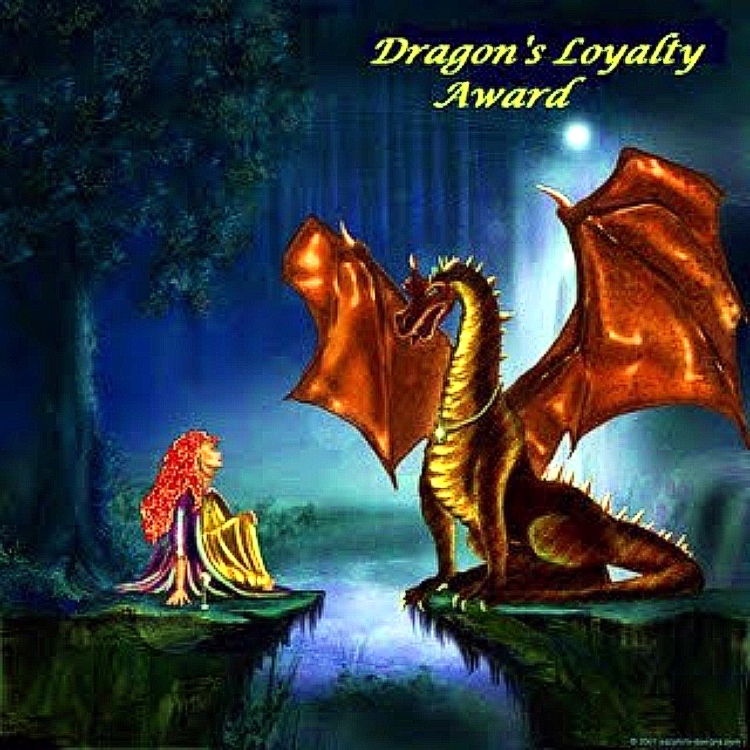 I don`t know if you have already received my post, but here`s the link- http://apothecarysgarden.com/dragons-loyalty-award/. It has been a pleasure getting to know you, and I look forward to reading and sharing more down the road as the adventure unfolds beneath our feet. Have a wonderful year Steve. Peace, health, light and abundance to you and yours. Awesome!!! That’s about all I can say. Thanks for the great compliments. Have a great and successful 2014!!! You’re so very welcome, Jane. I really like your blog a lot and appreciate your visiting mine. I’m glad you found NN because I think you’ll find some things of interest to you in it, I hope… Thank you for the good wishes for gardening in the New Year. I’m sure it will be wonderful! PS – one of the things I want to reflect on, concerning the Award, is the way we make connections to each other often through others in a similar way, and this sparks off things. Like Dan talking about Naked Nerves. I shall take a morning very soon and travel with you. I really agree with you about this. We make connections in so many ways, like we do here on WordPress. It always thrills me to find a new blogger to follow or read about by seeming random connections, just like Real Life! ;). It’s amazing… I look forward to your visits at NN. You’re very welcome for the award, Sandra. Thank you for your support and encouragement. I appreciate it a lot! You’re welcome, and thanks for your congratulations. I always enjoy your blog and find your ways of seeing quite fascinating. Great job!